Sweden values ​​the relationship and connection with nature. The importance of unification, collaboration and friendship in the world can not be underestimated. Welcome to Friends World. Optimistic. Authentic. One of a kind. 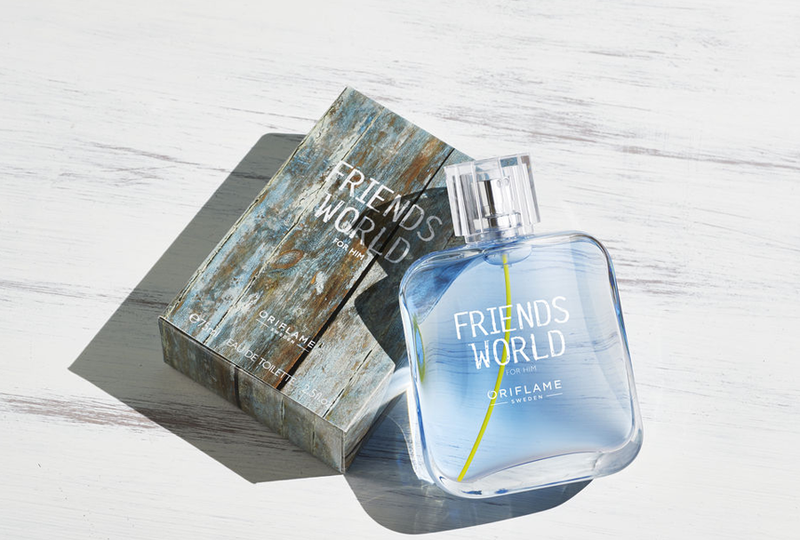 An energetic and fresh fragrance from Oriflame, for the fun, charismatic, optimistic, self-confident man. A man connected to friends and the world around him. It represents friendship and happiness. The perfumer – Jean-Christophe Hérault Jean-Christophe has always had a penchant for scents, growing up in a perfume-related world with his father’s concentrate factory. Created a wide range of exclusive and successful fragrances over the years for prestigious brands. Jean-Christophe created Friends World with Swedish Hera in mind, inspired by Gotland, Sweden’s sunniest place. It was specially chosen because of its strong symbolism, representing eternity, friendship and strong relationship with loyalty, thus representing the most important values ​​of friendship. “I’m curious about everything from trips to music, everything can represent aromas,” Jean-Christophe Herault, a perfumer. For the nature lover, with strong emotional values. This is an aromatic-tonic fragrance that personifies masculinity, loyalty and affinity with the environment. 75 ml.